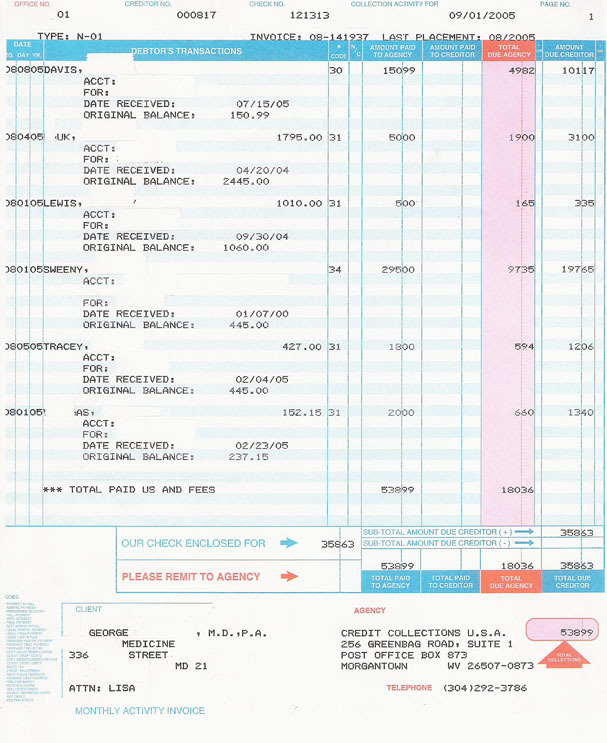 A check will accompany the Monthly Activity Invoice if money is due to the client. CLIENT RETURN; the monies returned to the client after agency fees. 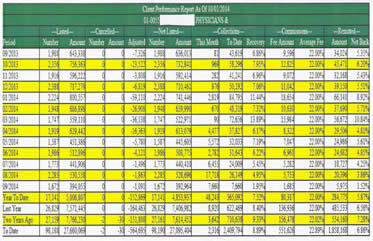 A detailed report of all collections and fees in a specified month. 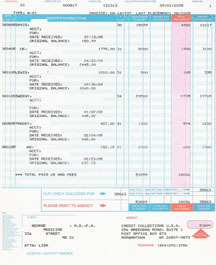 Click on the link to view a large image of the document.